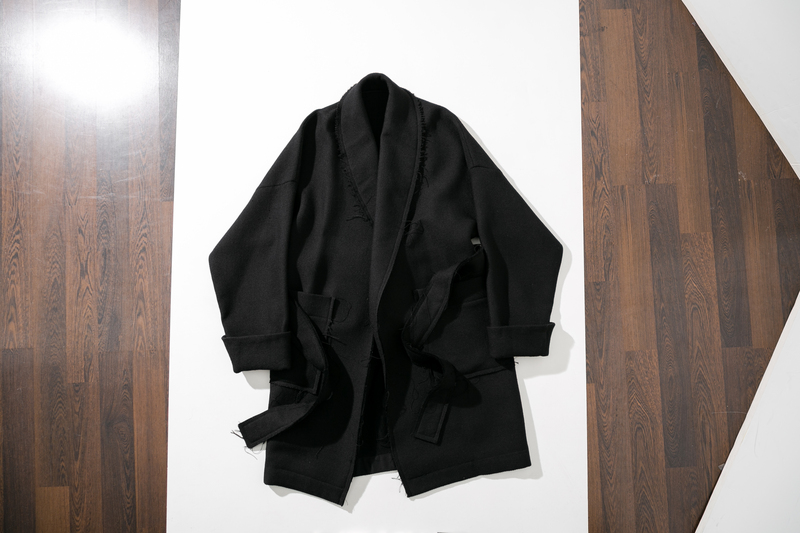 OVERSIZED COAT IN BLACK WOOL. FEATURES 100% LOUIS VUITTON WOOL. MADE IN NEW YORK CITY BY IMMIGRANTS. IMPORTED FROM FRANCE. 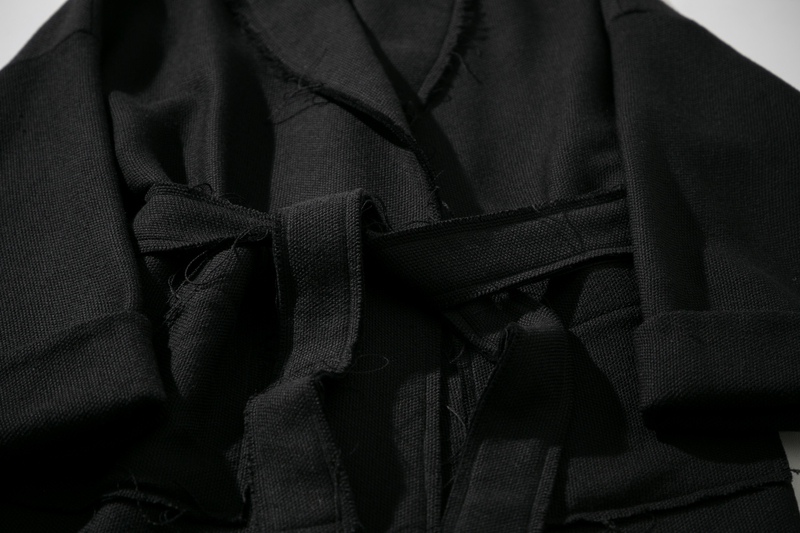 RAW HEM SHAWL COLLAR. 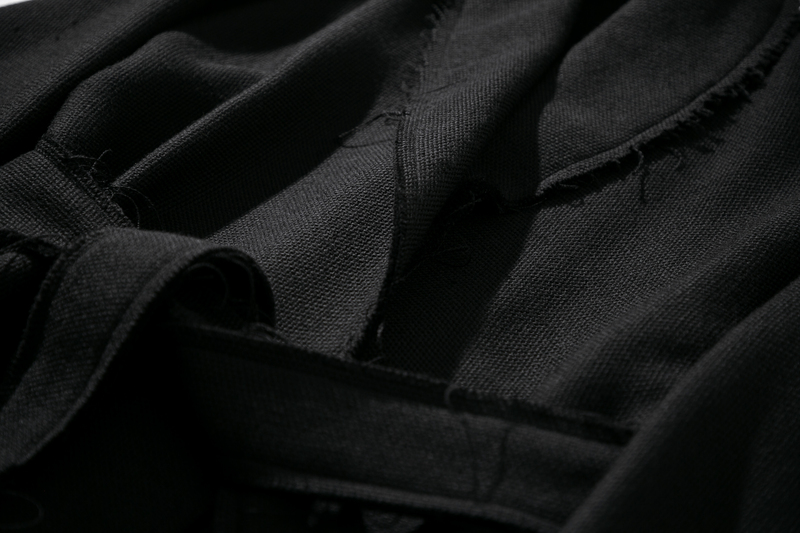 OVERSIZED PATCH FRONT POCKETS. ELONGATED ARMS. DROPPED ROUND SHOULDERS. 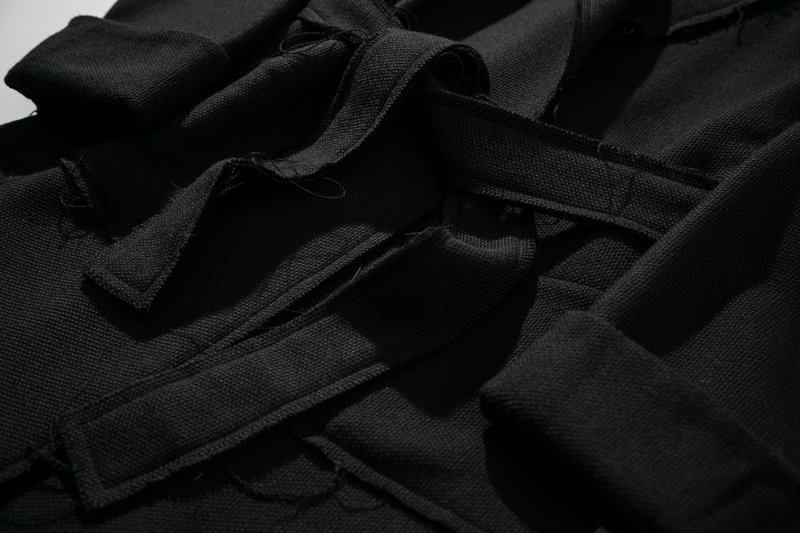 RAW EDGE WOOL BELT. 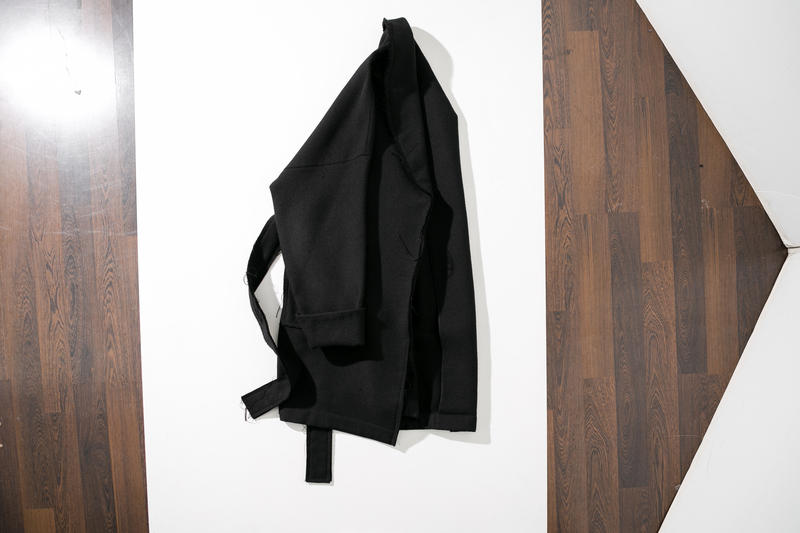 Our Robe Jacket was made for us to stay cozy. Made from Louis Vuitton Wool. We’ll keep it 100. This piece was inspired by the fact that housewear is the most comfortable thing to wear in the world. No debates. We wanted to replicate the coziness of a regular house robe, but make it functional enough to wear during winter’s harshest days. Made from archived 100% Louis Vuitton wool. 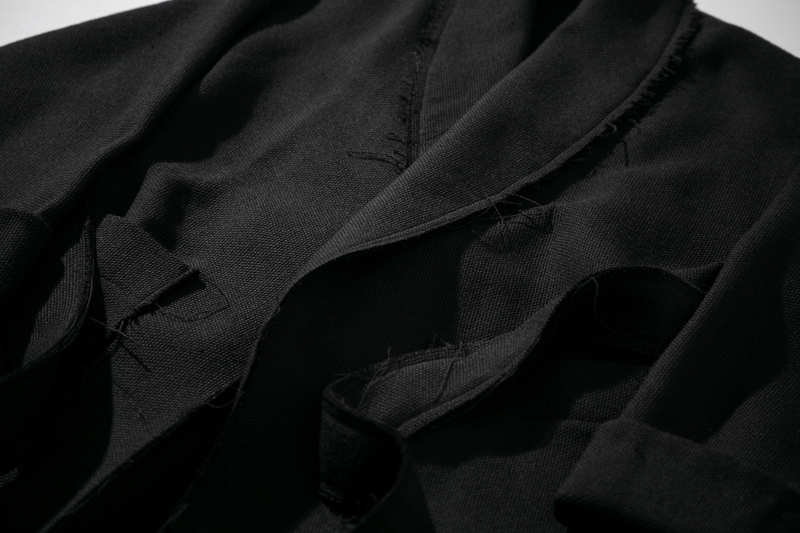 Our Robe Jacket sports two oversized patch pockets. Both the shawl collar and the belt features unfinished edges. The sleeves are elongated and the shoulders are dropped. On shawl collar && wool belt.